Wouldn’t it have been nice if that resource somehow said, “I’m free to use, no strings attached, you don’t need to ask for my permission because it is already granted”? Well guess what … Open Educational Resources (OER) are an answer to that need! Worldwide academics, politicians, teachers, scientists and everyday citizens are making and sharing what they’ve researched and created with as part of a worldwide OPEN movement. Waving the flag high and shouting from the world’s rooftops are Creative Commons, who are passionate about constantly growing the range of creative works available for others to build upon legally and to share. In March 2016, Creative Commons brought fourteen strangers from thirteen countries to Cape Town, South Africa, and formed The Second Institute of Open Leadership (IOL2). The Institute is a training and peer-to-peer learning opportunity that brings together up-and-coming leaders to develop and implement an open-licensing policy in their institution, province, or nation 2. Fourteen strangers from thirteen countries, supported by seven amazing mentors, turned Cape Town into a five-day incubator of unfettered potential to significantly contribute to the worldwide Open Access movement. I had the honour of representing CORE Education as one of fourteen international organisations inducted into IOL2. It was more than a professional learning experience; it was life changing, and connected with me in way that only Outward Bound has got close. We came from far and wide — Brazil, Nepal, Italy, Austria, Uganda, Tunisia, Canada, Kenya, and beyond, as employees of universities, museums, Greenpeace, community campuses, publishing, and Open Education. We came to be mentored in developing for implementation an open-licensing policy into our institution, province, or nation, and grow the international footprint and understanding of Open Access. allowing access, not closed or blocked, unbarred. To move … so as to leave a space allowing access and vision. A championship or competition with no restrictions on who may compete. Creative Commons believes that publicly funded research, data, and information should be openly licensed by default. If taxpayer money funds research, data gathering, and information creation, shouldn’t you, as a taxpayer, have access to that information? Open licensing helps public institutions better meet their missions of disseminating digital resources, information, and data, breaking down the typical barriers associated with traditional copyright. How many times have you found what looks like the perfect article for your research, only to be hit with a paywall and options to rent or buy the article? Has an article you want been under embargo due to publisher’s restrictions? In You Pay To Read Research You Fund. That’s Ludicrous, Creative Common’s CEO Ryan Merkley succinctly describes the systemic change needed that would allow for the global re-use of publically funded research, data, and information. – Ryan Merkley, CEO Creative Commons. Imagine the potential and possibility to really make an impact for global good if this was a common approach taken to all publically funded research. Worldwide, many students have old and out-dated textbooks that hold back their learning, potential, and imaginations. Teachers often spend hours creating worksheets that meet their curriculum needs because the textbooks they have are irrelevant and past their use-by date. No longer a generic mass of information designed as a one-size-fits-all solution, open textbooks give teachers full creative control, and the ability to tailor the content to the needs of the students they’re working with. Open textbooks are freely editable, downloadable, and repurpose-able by others, keeping with the notion that the search for truth in any academic field is continually being revised 5. They’re ideally published under CC BY, the license that allows the greatest sharing capabilities and creativity for education, while still retaining authorship and thereby greater quality in collaborative output. CC licenses are the gold standard for open access to research, creating a global commons of content and data with over 1.1 billion licensed works that anyone can read, copy, and re-use. Open Education "…is the simple and powerful idea that the world’s knowledge is a public good and that technology in general and the Web, in particular, provide an extraordinary opportunity for everyone to share, use, and reuse knowledge." 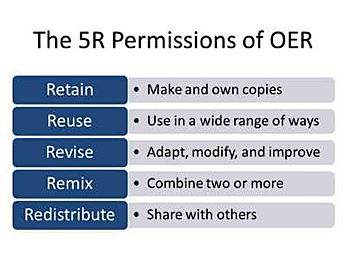 Open Education Resources (OER) are educational resources, course books, research articles, videos, and assessments that are licenced to share under an open copyright license like Creative Commons, 7 or in the public domain. Worldwide, people and projects are adopting CC licenses for education. In 2012, BCcampus in Vancouver, British Columbia, was asked to create a collection of open textbooks aligned with the top forty highest-enrolled subject areas in the province. The goal of the project: to make higher education more accessible by reducing student costs through the use of openly licensed textbooks. A second phase was announced in the spring of 2014 to add 20 textbooks targeting trades and skills training. 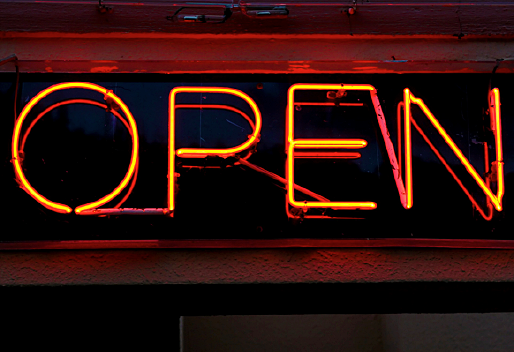 Worldwide, the OER case studies and Open Policy Registry prove the power of the Open movement. Here in Aotearoa New Zealand, there at least four NZ universities institutionalising positions on Open Access and we have Open Access weeks every year now. 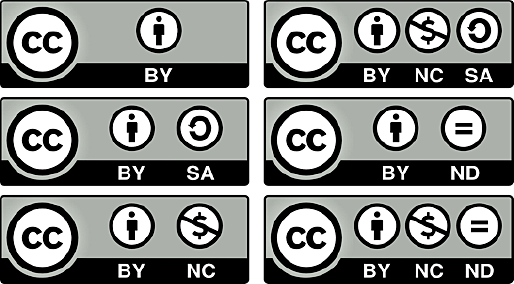 Creative Commons licensing is becoming more widely understood, and adoption within our schools is on the increase. Creative Commons search offers educators and students a portal to search for legally reusable images, music, media, and video. DigitalNZ’s rich kete of more than 29 million digital New Zealand treasures have CC licence filters, and POND allows for CC licensing of works when New Zealand schools have CC policies in place. But, if you step outside of New Zealand, you find we’re actually really behind. 14 There is still much awareness needed to grow and work to change the status quo and create a more level, equitable, and informed playing field for all people. In Cape Town I made lifelong connections with innovative and open-minded professionals who believe that information and access to it improves societies. Two months later there have already been inspiring results from fellows in Bangladesh, Nigeria, Canada, USA and Brazil. Creative Commons NZ and CORE Education are local contact points within New Zealand’s education sector if your school, centre, or Kura want to explore more, and help get Aotearoa’s global Open footprint bigger, better, and more widely know. A Quiet Revolution — Creative Commons New Zealand’s free eBook. Cable Green, open education and sharing — Podcast from Radio New Zealand. Creative Commons – Education — An all you need to know background piece. Why openness in education? — A chapter from Game Changers, exploring a number of ways openness affects the practice of Teaching and Learning. Equitable Access is one of CORE's Ten Trends for 2016. Consider the implications for education and how this trend will impact on your school, kura, or centre. Paula Eskett is a Library and Information professional with 30 years experience. She is currently CORE Education's Knowledge Curator. Her background includes working in digital, community and research libraries, consulting, and managing school libraries. Paula was the first non-teacher in New Zealand to be awarded a CORE Education eFellowship. Paula’s expertise lies in the design of libraries and learning spaces, which create and invite school-community engagement, collaboration and ownership. A stranger in a strange land? Can I use it? Can I share it? Is it legal? Great post Paula! Totally demystified Creative Commons for me – cheers! Will your next post focus on the kinds of things that people can do or get involved in?